Gardenia recognises that it has a responsibility to the environment beyond legal and regulatory requirements. We are committed to reducing our environmental impact and continually improving our environmental performance as an integral part of our business strategy and operating methods, with regular review points. We will encourage customers, suppliers and other stakeholders to do the same. Jamie Grant, the owner and founder of Gardenia of London, is responsible for ensuring that the environmental policy is implemented. However, all employees have a responsibility in their area to ensure that the aims and objectives of the policy are met. By 30th September 2018, all carrier bags provided in our shops will be biodegradable and suitable for re-use in food recycling caddies. By 30th September 2018, all hand-tie arrangements will be offered in FSC-certified, recyclable paper bags, instead of in fabric bags. 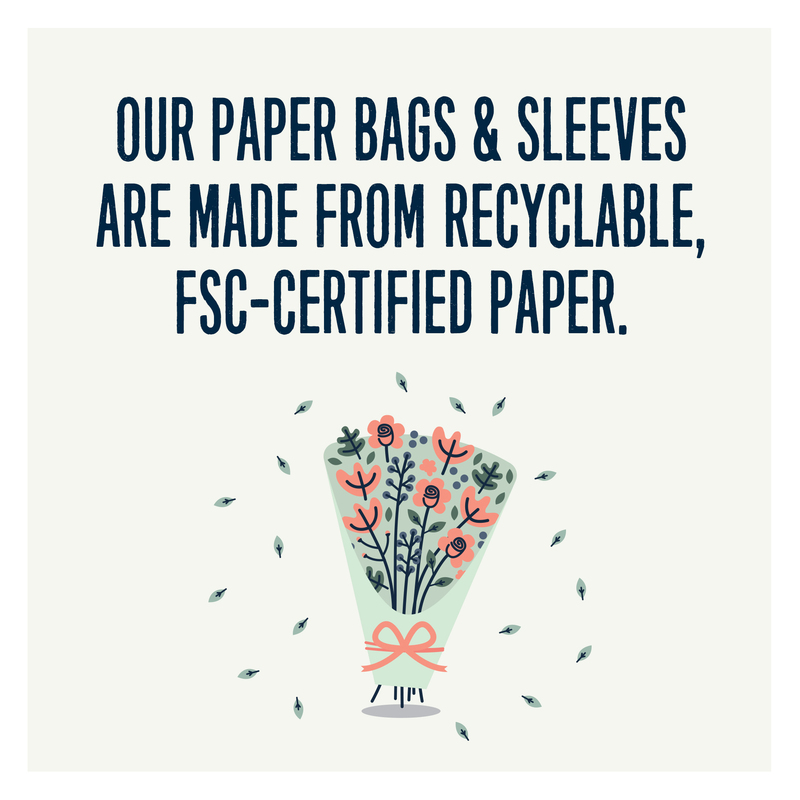 By 30th November 2018, we will use FSC-certified, recyclable paper sleeves to wrap flowers for display in pavement buckets, instead of plastic sleeves. By 30th November 2018, we will use FSC-certified, recyclable paper tape instead of plastic tape on our wrapping. We will use cleaning materials that are as environmentally friendly as possible. We will be conscious of our use of water and seek to use it in the most efficient way possible. We will use First Mile Recycling to manage mixed recycling, food recycling and other waste generated in our shops. We will review recycling reports on a monthly basis and make ourselves aware of how we can continually improve on the KPI’s provided by our supplier. We will encourage employees and contractors to travel to work by bicycle or public transport. When the need for replacement arises, we will consider ‘greener’ transportation investments such as hybrid delivery vans. We will review this policy and any related business issues at our bi-annual whole company meetings.